Are you tired of spending all your time slaving away in the kitchen trying to whip together delicious paleo recipes? If so, you need to get out your slow cooker. Using a slow cooker can save you a whole lot of time while allowing you to fix tasty, healthy paleo recipes for the whole family. Whether you are looking for main dish recipes, easy breakfast ideas or the perfect paleo desserts, you will find all the best paleo slow cooker recipes in this paleo slow cooker cookbook. Along with great paleo slow cooker recipes, you will also find some great slow cooker tips that you can use to make the most of your slow cooker, ensuring that your recipes turn out wonderfully when you make them. Get ready to start using your slow cooker more than ever while cooking up taste bud tempting dishes that you will enjoy making repeatedly. 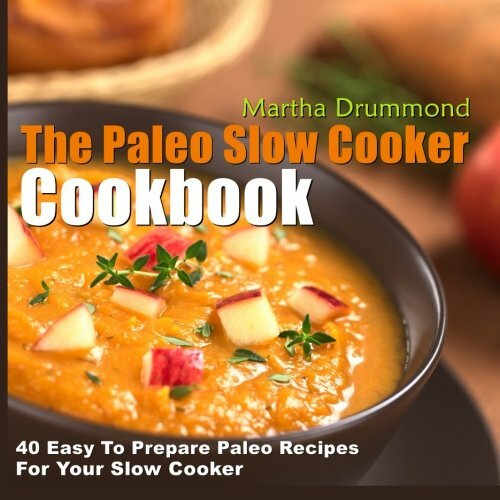 Get your copy of The Paleo Slow Cooker Cookbook right now.